Feeling overwhelmed with clutter, supplies, and equipment? Looking to reorganize your life in order to feel more in control and reduce work headaches? Shelving makes it easy to add additional storage in small spaces. Check out how our Shelving stacks up to your current organization methods. The Storage options are for specific needs, like Binder Storage Carousels, as well as general storage needs, like Storage Cabinets. The collection of Bookcases and Literature Display Racks give an aesthetically pleasing place to display books, magazines, and pamphlets in any space. Vocational Arts Storage and Industrial Storage make it easy to find the correct tool benches, science lab equipment storage, and more. Media Storage and Lockers make secure storage units for valuables. Life does not stand still. If lack of mobility in your storage and a lack of extra arms is your concern, there are plenty of Mobile Carts on wheels to choose from. Teacher Carts and Teaching Easels make it easy to move through hallways with all of your teaching supplies. Technical Equipment Carts and Multimedia Carts make it easy to transport laptops, audio visual equipment, and projectors. 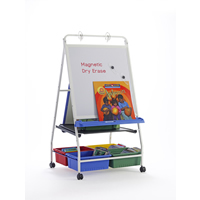 Book Carts and Utility Carts make transporting goods a smooth ride. 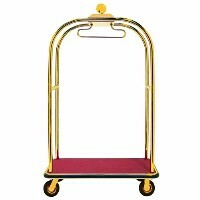 Try Bellman Carts and Food Service Carts in your hotel or hospital. We also offer Food Service Equipment of all kinds for food industries. Stop lugging everything around and dropping items. Mobile Carts make it smooth rolling to go from room to room. When you�re tired of leaving important memorabilia out in the open or you�re looking for a new way to display your announcements and triumphs, our display cases will be invaluable. 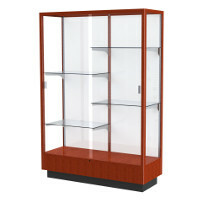 Protect your announcements from unwanted changes and protect your collections and prizes while showing them off to the public with display cases of all kinds. Enclosed Bulletin Boards, Enclosed Letter Boards, Trophy Display Cases, and Sports Display Cases make it easy to announce to the world that you are proud of your belongings or have something important to say. Whether you�re at home, work, or school, make life a little bit easier when you get organized. Shelving Units, Storage Units, Carts, and Display Cases make it easy to get rid of clutter and become more mobile.